With the announcement of Scratch 3.0, I thought it would be a good idea to lay down our future plans for Scratch support in the Edbot Software. 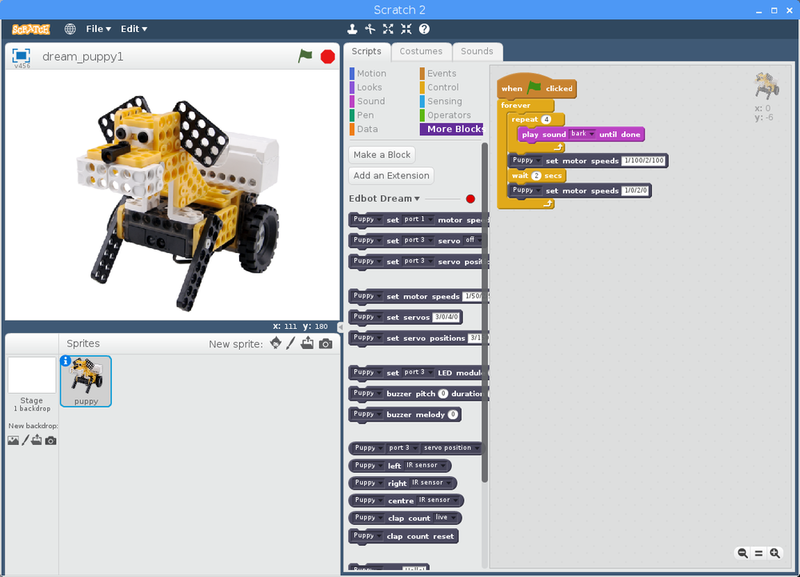 Scratch 3.0 is the next major release of Scratch, a popular visual programming language used for teaching. On the Raspberry Pi, Scratch 2.0 offline comes bundled with Raspbian Stretch. This means you can continue to use Scratch 2.0 offline with Edbot for the foreseeable future. Going forwards we plan to fully support Scratch 3.0 using the new Scratch extension mechanism. This mechanism has not yet been finalised, but rest assured we are watching developments and will let you know when our Edbot extension becomes available.